Born and raised in the outdoors. The Ortlieb Front Roller City is all about flexibility giving you the option to use it on both sides of your front or rear rack and as a single pannier. The Incandescent 3M Scotchlite material reflectors are placed on the sides of the bag so you will be highly visible and increase your safety on the road. The Front Roller City is also waterproof and is easy to clean. You can add the Ortlieb Carrying System for those trips or the, Small outer pockets for tools, or cash and mesh pocket for wet gym clothes, Shoes or a helmet. 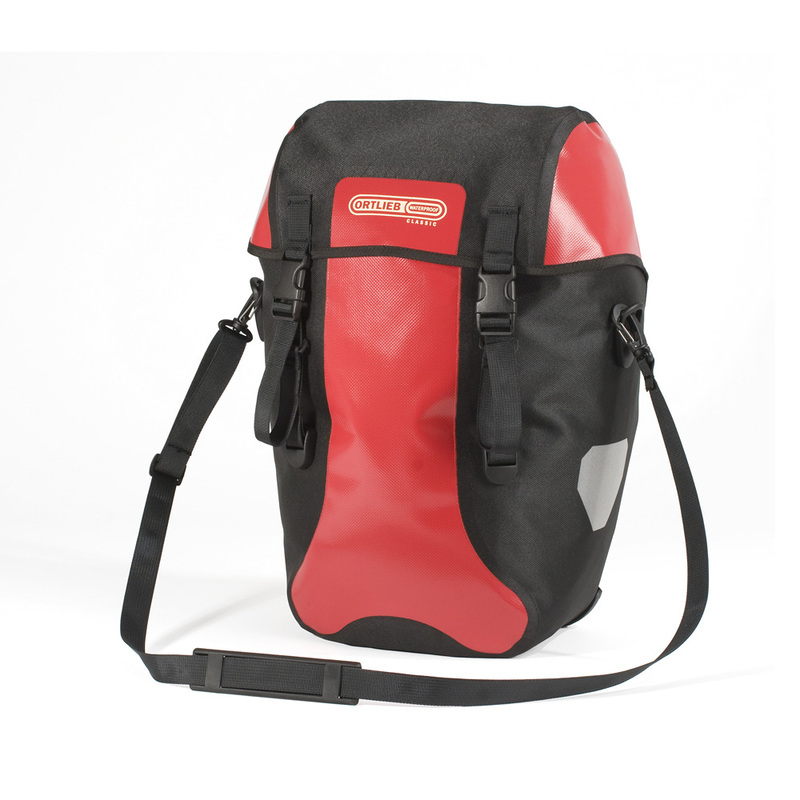 These bags offer a carrying handles for easy and convenient mounting and dismounting as well as attachable straps so you can sling the bag over your shoulder when off the bike. If you prefer more loading capacity, couple these front panniers with the Back Roller City for a great touring pair. You can rely on Ortlieb bags to keep all of your gear safe and dry. Typically used as front panniers but can also be used as small rear panniers. Dig this little bags. Perfect for urban commuting and errands. Use them on the back. Thanks Bike Shop Hub for stocking the smarter older graphics (hopefully the new versions are temporary Ortleib). Keep up the good work. Bags arrived before promised in great condition and exactly as described.